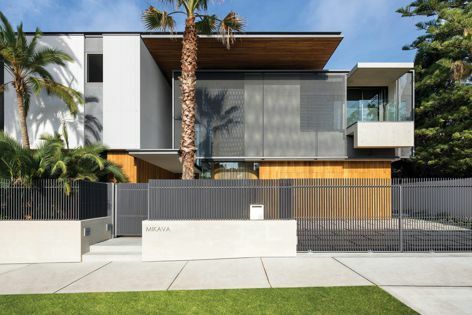 Double Bay House in Sydney features Kaynemaile-Armour screens, which can be manufactured to any size without joins, making them ideal for custom installations. Architects: SAOTA in association with TKD Architects. Photography: Adam Letch. Double Bay House in Sydney features Kaynemaile-Armour screens. 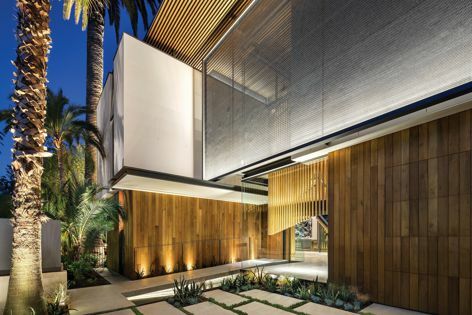 Kaynemaile-Armour mesh screens provide solar shading and privacy screening without blocking internal views for Double Bay House in Sydney by SAOTA with TKD Architects. With the screens conceived as floating planes, it was essential to find a material solution with the right appearance and a discreet fixing system as well as the solar reduction and privacy screening properties the project demanded. Kaynemaile-Armour’s ability to be manufactured to any size without joins made it easy to create a uniquely seamless visual appearance. In addition to the fixed screens, the house incorporates automated Kaynemaile-Armour solar screens. These are operated by a solar management system that detects the sun and moves the screen positions automatically, creating an innovative solar solution.